Epson EX3220 SVGA 3000 Lumens Color Brightness 3LCD Projector is the right projector to have for high performance and fast work but needs simple setup. It will become a great support to have successful presentations with plenty of great features such as well-located HDMI connectivity, the EX3220 feature that presents digital video and audio through one installed cable. 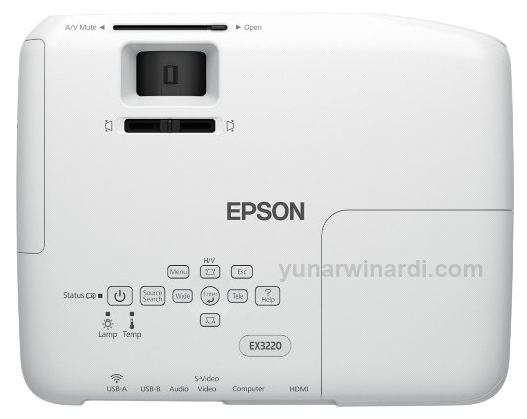 Additionally, it gets Simple Setup Suite from Epson; it houses kinds of innovative features of the projector that ease you to have a flexible position and quick setup in every need of presentation. For those professionals who need proven performance in every presentation, this projector can be a perfect choice. A projector is always required in nowadays’ presentation because it supports professionalism and well-arranged materials. To make a perfect presentation, your projector could support the requirements of high performance with the features. One of the greatest features is the brighter colors in three times more than other. It will show the brilliant quality of images with high brightness of the colors. Yes, Epson EX3220 SVGA 3000 Lumens Color Brightness 3LCD Projector has three times brighter colors than other projectors from other leading competitors. The brightness is produced by the 3000 color brightness lumens and 3000 white brightness lumens. It is special with the true life color results; thanks for the 3 chip technology of 3 LCD. The color feature enables you to make the right measurement for the projected image colors. 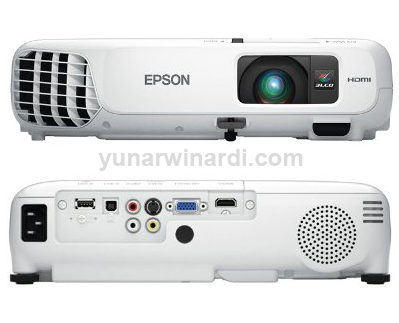 Presentation for professionals is the time to show up the capability and professionalism, with the Epson EX3220 SVGA 3000 Lumens Color Brightness 3LCD Projector, it can be had perfectly. The simple setup suite feature of the projector will support the needs of professional presentation. The innovative features compacted inside will make the placement more flexible and you can set up the projector in any room without much efforts. When the presentation begins with the projector, you can adjust the images easily. Put the projector anywhere and in any space; you will get proportional images in correct look projected. Thanks to the auto vertical correction and slide horizontal image correction feature that is very easy to use. To start the presentation, you have an easy and fast way through USB cable. It can be used to directly project your presentation via USB data. It supports simultaneous presentation projection on the computer and also on the screen. A successful presentation will run since the optimal size of images projected on the screen. Thanks for the proper lens control feature with a zoom that can project the images well either in the near or far distance of the screen. Present your brilliant video and audio to the presentation via HDMI connectivity on one cable. It is compatible with latest media players, laptops, and Blu Ray. The feature of instant off and on in the projector is perfect for you who have many more activities to do next. You can on and off the projector power quickly, pack it up and go continuing the next agenda. Besides, it also gets sleep mode feature that is useful to pause the presentation without a need to off it. The projector also gets direct power on and off feature that can control the projector by switching the flip.